Enamul Haque (Bengali: এনামুল হক, born 5 December 1986) in Sylhet, known as Enamul Haque jr to distinguish him from Enamul Haque, who also played for Bangladesh, but was not related to him, is a Bangladeshi cricketer. He currently plays for his home team, Sylhet Division in National Cricket League and Prime Bank Cricket Club in the Dhaka Premier Division. He is a right-handed batsman and bowls a slow left-arm delivery. His Test debut occurred against England in at Dhaka in 2003. 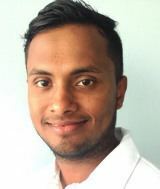 In April 2004, the Bangladesh Cricket Board granted Enamul his first six-month rookie contract, with pay below that of senior national players. Zimbabwe toured Bangladesh in January 2005 for two Tests and five ODIs. The touring Zimbabwe side had suffered due to player disputes which in 2004 had led to the countrys temporary suspension from Test cricket. Of Zimbabwes 16-man squad, only their captain had played more than nine Tests; Bangladesh were the more experienced team. In the first match, Bangladesh secured their maiden victory in Test cricket. Having not taken a wicket in Zimbabwes first innings, Haques haul of 6/45 in the second helped his team to victory and set the record for best bowling figures for Bangladesh in Tests. The second Test ended in a draw, giving Bangladesh their first series win. In one innings Haque took 7/95, beating his own record for best bowling figures for Bangladesh, and took 12/200 in the match, so that at the age of 18 years and 40 days he became the youngest bowler to take ten wickets in a Test, overtaking Pakistans Wasim Akram. During a match against Rajshahi Division in December 2005, Haque claimed his 100th first-class wicket when he dismissed Rafiqul Islam caught and bowled. Playing against Khulna Division in November 2007, Haque took his 200th first-class wicket when he had Imrul Kayes stumped. Haque returned to the ODI side in 2009 after a gap of three years when he was selected in the squad to face Zimbabwe in three matches and a tri-series with Sri Lanka and Zimbabwe. He was selected in the absence of first-choice veteran spinner Abdur Razzak and because he had a good record against Zimbabwe. Zimbabwe toured Bangladesh in October for five ODIs. In the fourth match of the series, Haque recorded his best bowling figures in ODIs (3/16) and took his 50th wicket in list A cricket when he dismissed Elton Chigumbura caught and bowled. 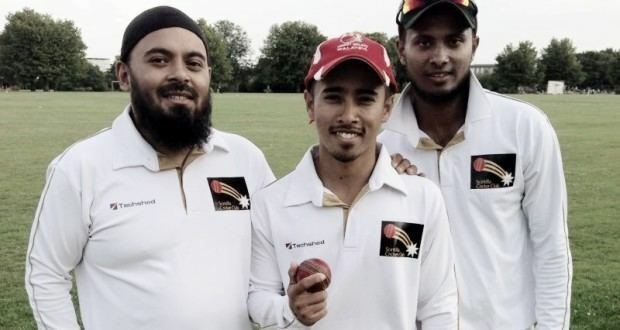 In December, Enamul was one of 13 players to be given a one-year central contract with the BCB. When the Board announced the new list of central contracts in November 2010, Enamuls was not renewed. Having gone four years without taking more than four wickets in an innings, Haque took two five-wicket hauls against Dhaka Metropolis in November 2011, to finish with match figures of 10/77, to help his team to victory. On 21 December 2011, he became the first Bangladeshi bowler to achieve his 300th First-Class wicket against Khulna Division with the bowling figures of 5/95. The Bangladesh Cricket Board founded the six-team Bangladesh Premier League in 2012, a twenty20 tournament to be held in February that year. An auction was held for teams to buy players, and Haque was bought by the Chittagong Kings for $55,000. He took 13 wickets from 9 matches, and immediately after the tournament was selected in Bangladeshs ODI squad for the 2012 Asia Cup.